Pinnacle Series and KnowledgeSmart help ensure that everyone knows what they need to know, when they need to know it. McBains is a leading consulting and design agency, providing a bespoke range of services to blue chip corporates and public bodies throughout the UK and Europe. In pursuance of offering exceptional levels of service to its clients, McBains decided to investigate the possibilities of bringing into the company a consistent and reliable approach to ensuring that team members' skills were at all times current and of a high standard. McBains' relationship with Excitech goes back over a decade, with Excitech providing consultancy across the board in all pertinent technology areas (a recent case study explains how Excitech helped McBains align field practices to BIM requirements through Ideate BIM Link) as well as regular training of its staff. Training hours are drawn on as and when required to introduce news skills, refresh existing ones, or introduce new practices either unique to McBains or common across the industry. Companies often assume that a 'mapped out' series of classroom sessions will deliver the necessary knowledge that people require to do their jobs, with the proviso that from time to time such an approach could be backed up with tailored workshops focusing on the areas needed for that organisation; all of which Excitech provide. Formal (classroom) training is one thing; filling in the gaps between training is another consideration for ensuring that skills stay current, particularly in a world where software evolves fast and frequently. "No matter how much training people might receive, small details can often trip them up just because they've forgotten how to manipulate the software to do certain things”. " says Montana. "We had no single repository for the wide range of information that a multi-disciplined organisation like ours might have to call on; when you have architects, MEP designers, technical designers, engineers and others all occasionally looking for advice or tips or mini-tutorials on how to complete a task, that's a big target audience. Montana was looking for a scalable solution that could address everybody's skill gap issues regardless of their role, level, or individual challenge. Assessment: The first consideration was that for skills development to be truly effective, it has to have a meaningful foundation. It's vital, therefore, to find out what it is that people don't know. It's not immediately evident how this can be done because people are often unaware of what they don't know or what they may have forgotten since they were last trained on a certain programme. They may not be aware how the software has changed since they last used it. They may not know about the short-cuts, add-ons, or integrations with other programmes, until they come to use them. It's important, therefore, to assess the individual and to have some way to measure his or her capabilities against industry norms expected of people at their level. Measurement: Montana had spoken of the use of random sources of information among the team. Equally important is that the acquisition of knowledge can’t just be random. Once knowledge gaps have been identified through an assessment process, and the necessary sources made available to fill those gaps, it's important to measure the effectiveness of the training, ensuring ROI of the training investment. Excitech introduced Montana to two solutions; Pinnacle Series as an all-in-one search hub and e-learning solution, and KnowledgeSmart as the bench marking and gap analysis tool. The two are integrated so that as people evaluate their own skills through KnowledgeSmart pre-defined assessments, they are provided with a gap analysis based on industry performance (anonymised benchmarking of peer against peer and company against the industry). The questions cover core industry technologies such as Autodesk, Adobe, and Bentley, as well as key BIM Level 2 and BIM Management processes. From the gap analysis, the data informs the creation of the individual learning path to be undertaken in Pinnacle Series. This provides positive reinforcement to encourage the individual, responding with instant feedback and guidance to Q and A ‘measurement’ tests. Pinnacle Series is also CPD-certified, so any modules completed within it contribute towards an individual's annual CPD requirement. The result – "Complete visibility across the team, eradicating the random approach to skills development, and driving us all forward." - Montana Yeomans. Montana tells us that the feedback from across the team is highly positive. Individuals understand the benefit of the e-learning approach and have embraced Pinnacle Series as a reliable source of information. "Everyone found it easy to use which is key to the adoption rate of any software," he says. "As a browser-based system, they can dip in and out whenever the need arises. Everyone understands the connection with KnowledgeSmart for skills assessment too. People like to see their own self-improvement, but more than that, with the benchmarked tests against industry averages that KnowledgeSmart provides, people take it as a challenge to beat the average." McBains is using Pinnacle Series out-of-the-box which comes pre-loaded with thousands of assets across workflows, cheat sheets, videos and content on Autodesk software, Adobe, Microsoft and more. It is fully customisable, and McBains intends to develop and upload some of its own content for the future. It also plans to use KnowledgeSmart as an onboarding tool. Used in this way it stands to help reduce recruitment costs given that McBains will be able to evaluate new candidates in the same way as it identifies skills gaps among existing staff. Montana points to ongoing cumulative skills improvements as the main benefit derived from using the solutions together: "This integrated approach, using the two solutions together, is giving us great visibility into team strengths. Anyone using Revit or involved in architecture, MEP, urban design, and structures has now started using it. It is reassuring to know that we are now on an upward curve in terms of skills across the company." 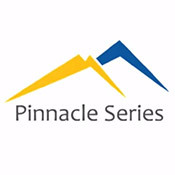 Excitech is the sole distributor of Pinnacle Series in the UK.